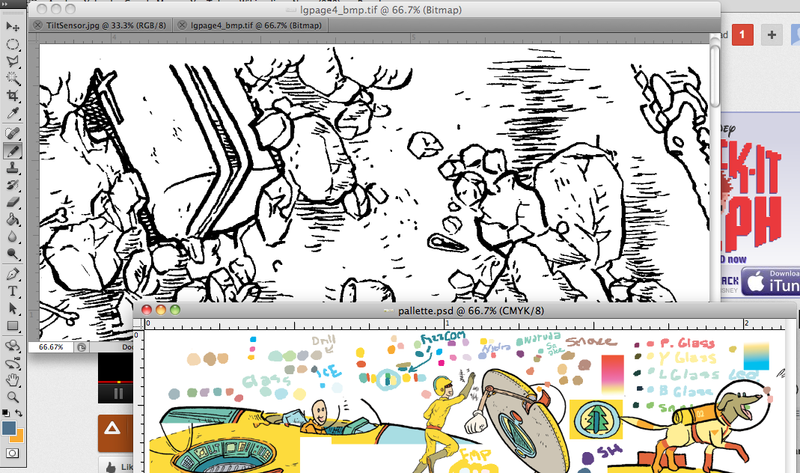 Alright, I'm going to get a little nerdy on you guys, but I am so in love with coloring in RGB. These colors are so bright and vivid! Just look at that aqua lineart! I can't remember the last time I got aqua that bright! Now that I've disengaged my NERD MODE, I just wanted to throw a link your way that I know I've mentioned before. The dudes at the Silverball Podcast (Rob Craig and Steve Rothchild) do an awesome job! I love the show and am really desperate for more episodes. Why I'm bringing them up is that they have a segment on their show called "I saw it on eBay" where they read out online postings for pinball machines, guess how much they are, talk about the condition, and make some really funny jokes. 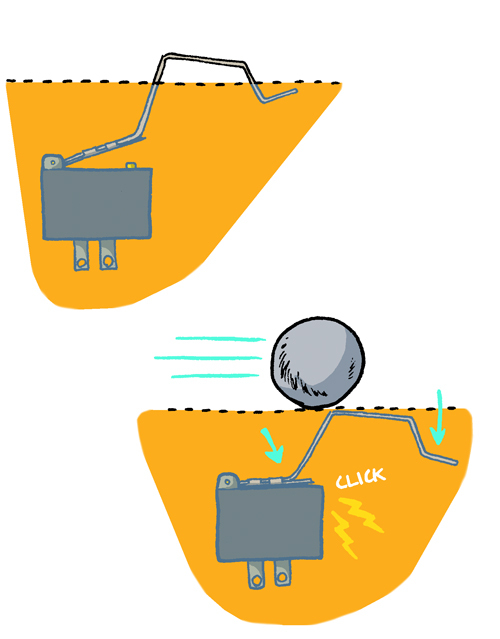 Talking about the Ramp-and-Switch earlier made me think about pinball sellers. Check it out. Pinball is in Everything I Draw! It's like that Wu Tang song, except with pinball! As you all know, Alec and I just aren't completely radical, pinball playing kings among men, we're also both accomplished cartoonists! For my part, ever since I got into pinball, I've been finding a lot of pinball popping up in my published work for children. I've taken some zoomed-in screenshots of the pinball sightings I could fine. Truth be told, I'll probably find more. This is page from a book of mine slated to be published in September 2013! 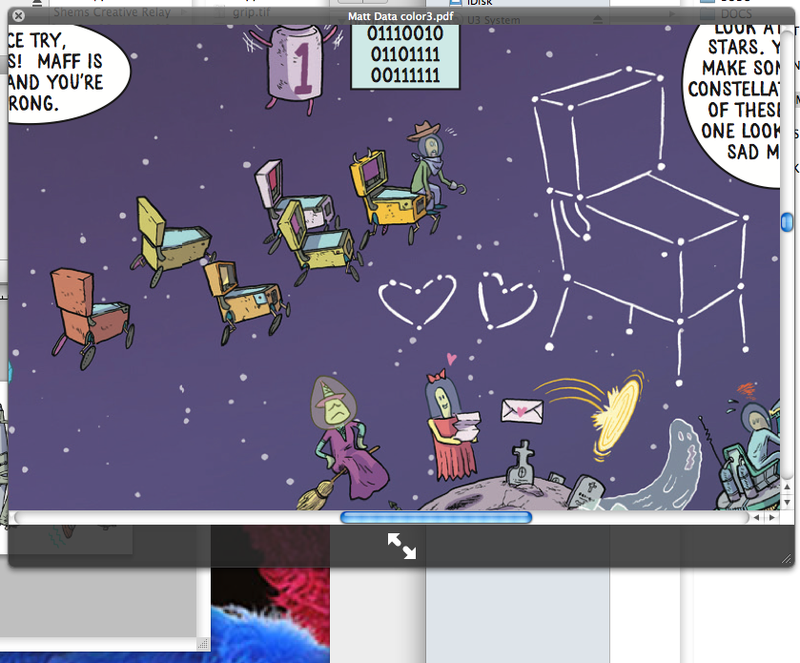 You faithful DTZ readers are getting a little sneak peak now! The name of the book is Leo Geo and the Cosmic Crisis. Somewhere in the deep reaches of space, Leo's brother, Matt Data, finds a herd of wild pinball machines and a pinball constellation. Lastly, I have a close up of a page of 2012's Leo Geo. It's pretty ironic that the flipper in this page is buried underground. It's ancient! This is the first instance of me putting pinball into non-DTZ projects. It's nice to unearth this evidence of how ba-zonkers in love I am with pinball! 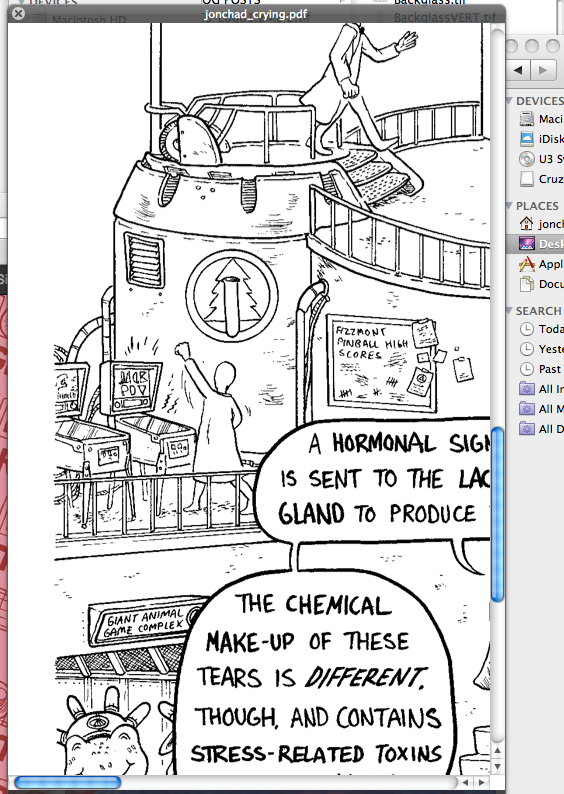 Well, I can't imagine that I'm just going to STOP putting pinball references in my work, so I'm sure we'll get to sit down and have this talk again! 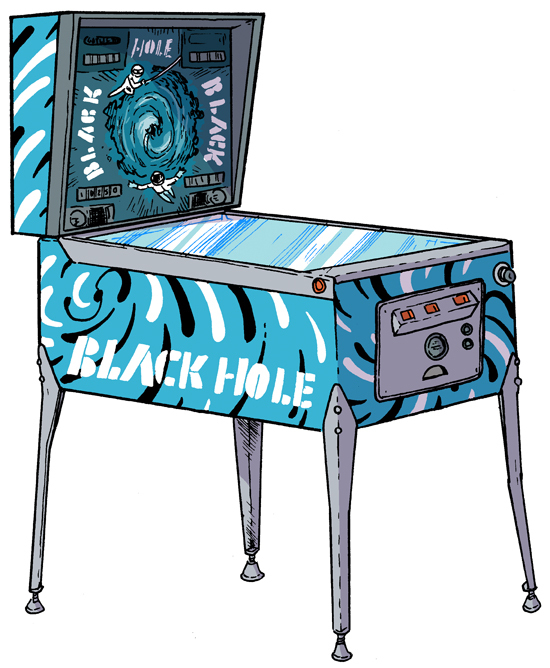 Guys, I know I'm beating the metaphorical dead horse here, but I love the Gottlieb game Black Hole. 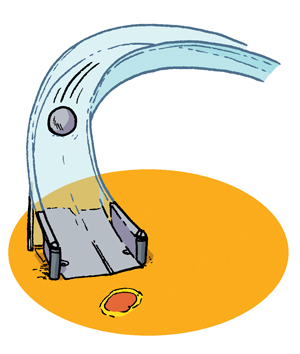 There are a couple of times that I've drawn up pinball machines that have the same idea of a lower playfield. I really believe that this is an UNBELIEVABLY smart idea that is COMPLETELY underutilized. Sigh. Alright, I'll get off my Novus box. I drew this glamour shot up for the first issue of DTZ, and have colored it for fun. 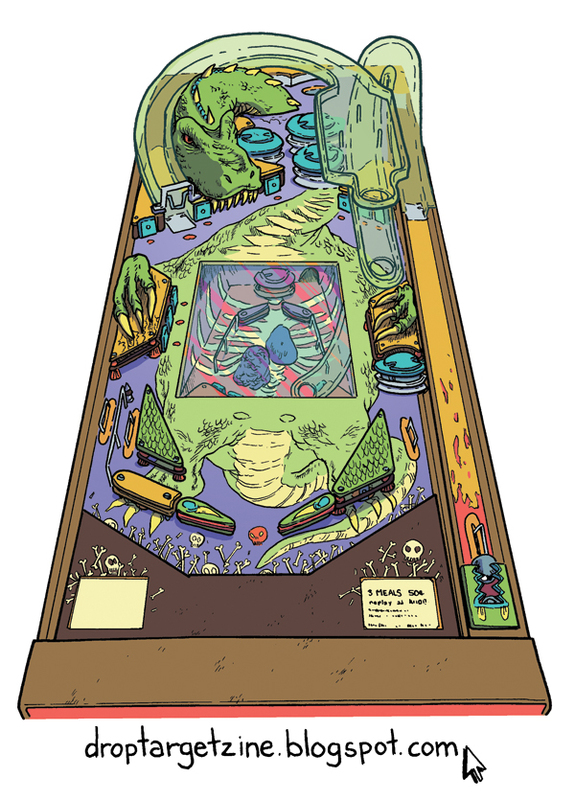 As an aside, I need to learn how to draw pinball machines from different angles! Here's an original one I drew up that has a lower playfield. GIT IN THA MONSTR'S BELLEH! Finally, we have come to the end of our Stern tour. If you consider that I started posting these photos at the beginning of November, it's almost as if YOU yourself have been on the tour for 2 months! If only I could have stayed there that long! Although EXTREMELY preemptive, these photos were meant to simply whet your whistle for the article in a later issue of DTZ. The really magical thing about watching the pinball construction process is that it isn't like any other assembly process I've ever seen. Normally, when I think of assembly lines, I think of a linear process, mostly run by machines. Watching pinballs being made is an elegant dance of artists, craftsmen, and really hard workers. To say it was an eye-opening experience would be a crucial understatement!